This high set brick home has much to offer. 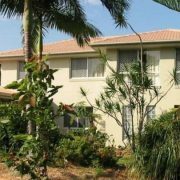 Set on a 582m² and just a 360 paces walk to the Currimundi school and local shops, from the school it is just 100 meters down Buderim Street to Dicky Beach. The lower level comprises of a large family room, kitchen, bathroom, shower and toilet, and currently has two separate bedrooms partitioned off. This lower level is fully tiles and offers great light and ventilation. The upper level is accessed from stairs on the south east corner. 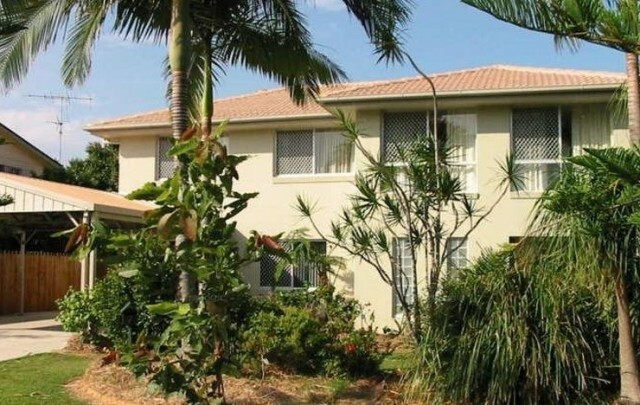 Comprising three spacious bedrooms, bathroom, toilet and large living area there are two separate balconies, one adjacent the kitchen allowing access to the lower level, one off bedroom two. The living room is serviced by airconditioning, the kitchen is in excellent condition and has a two pak finish. The upper level having polished timber floors. There us two car accommodation t the front with side access to a large lock up steel shed.